Summer is finally here and we can’t wait for our next Flavours cooking holiday in Italy. This inspired Flavours’ team to search for the finest Italian delis in the UK. 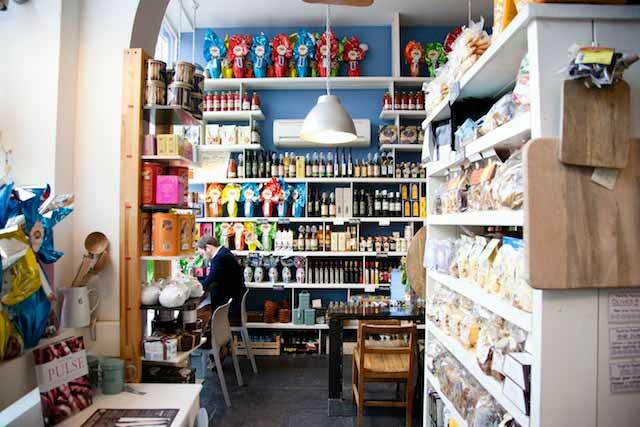 Let’s start this delicious round-up with Bristol based, award winning Papadeli. What started your passion for food? My father was very into food and would savour new dishes. We went camping in France many times when I was little, and he always loved sampling French pastries and unusual dishes. As a big family we didn’t eat out very often, but when we did, my family would laugh at me as I always selected the most unusual, luxurious (and expensive!) dish. I later studied Italian and French and lived in both countries, where I had ample opportunity to explore the wonderful foods. I then went on to marry an English teacher who became a chef – so good food is always a priority. Do you have a favourite Italian dish? I absolutely love pasta with bottarga – it’s not so easy to come by but the dried fish eggs have a wonderful fishy and salty flavour and grated over simple pasta in garlic and olive oil is hard to beat in my book. If you had a meal to pick for the rest of your life, what it would be? I love artichokes so there would have to be some of those, also perhaps some lobster, polenta and I love sea bass. Oh, and maybe a healthy helping of kale or spring greens. Not a very ‘together meal’ I’m afraid, but it would keep me happy for a long time!! If we offered a ticket to Italy, where would you like to go and why? I have a great love for Tuscany as that is where I lived for six months, but maybe I should go somewhere new – I’ve always fancied Umbria! Share with us your favourite recipe. Prepare your filling by mixing all the ingredients together and leave in the fridge until required. Beat the eggs with the salt. Put the flour in a mixing bowl and make a well in the centre. Pour the egg mixture into the well. Use your hands to bring it together into a dough. Use a little water if it is too dry. Tip it out onto a work surface. Knead the dough for about 10 minutes until it’s soft, smooth and stretchy. Leave the dough to rest for up to an hour to let the proteins relax which will make the rolling out much easier. Once you have rested your dough, tear off a small chunk of dough and roll it out slightly. 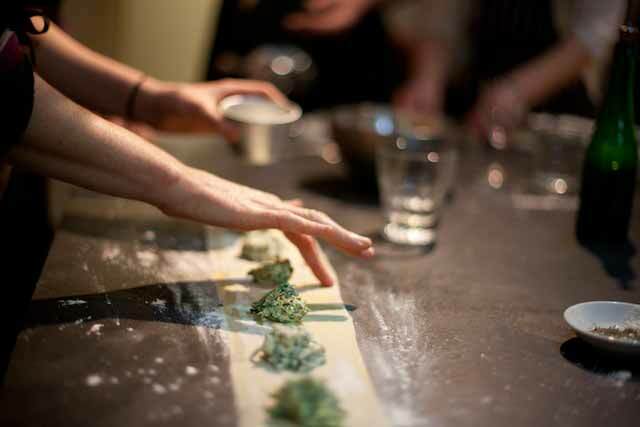 Either roll it with a rolling pin, moving it frequently and keep your surface well floured until it is very, very thin. The method to use is to roll the dough then flip it over, keep going until you are able to see your hand through the dough. If you use a pasta machine just keep passing it through until you reach the lowest setting. Repeat until all your dough is rolled out into sheets. Cut circles out until all the dough is used up. You can collect and reuse the trimmings. Place a teaspoon of ricotta filling in the centre of a dough circle, brush with a little water and press another circle of dough on top. Seal the edges by pressing down on them with a fork. Repeat until you have used all your dough and filling.